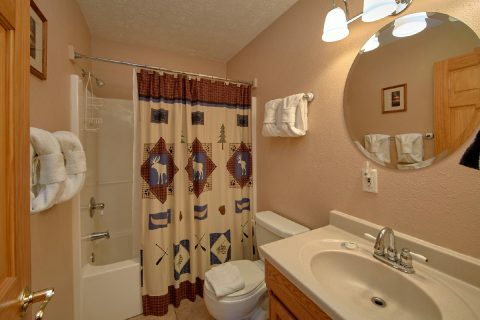 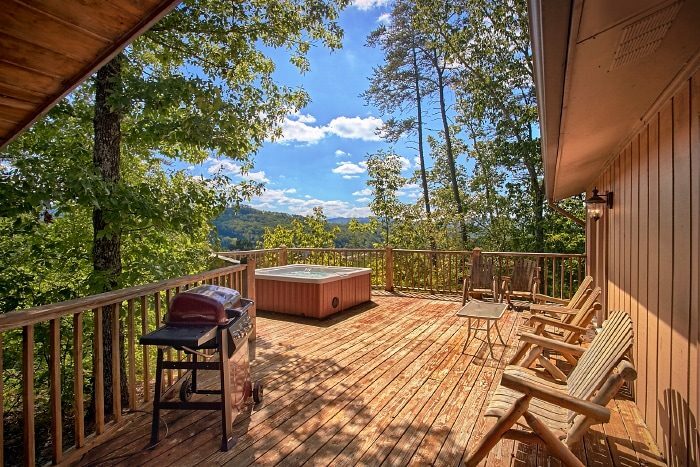 Come stay at this 3 bedroom Wears Valley cabin features such as a hot tub, game room, fireplace, and more. 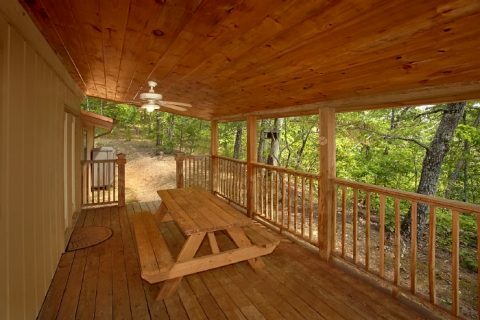 If you've been looking for secluded, Wears Valley cabin rentals, this cabin stands "Above the Rest." 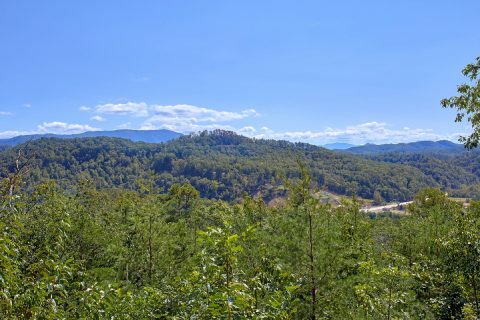 With a convenient location near the Pigeon Forge Parkway and a cabin interior with tons of amenities, you'll have a vacation that you won't soon forget. 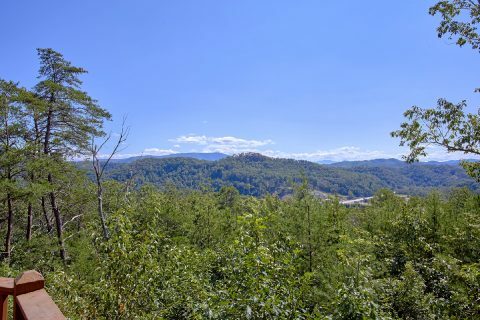 This Wears Valley cabin sleeps 6 and offers 2 bedrooms with king beds and 1 bedroom with a queen bed for a comfortable night's rest in the mountains. 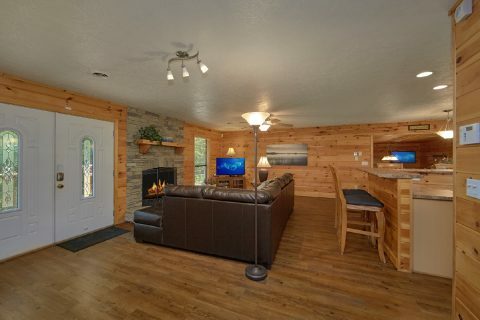 This cabin's 2 full baths give your family plenty of space to get ready for exciting adventures in the Smokies that wait around every corner. 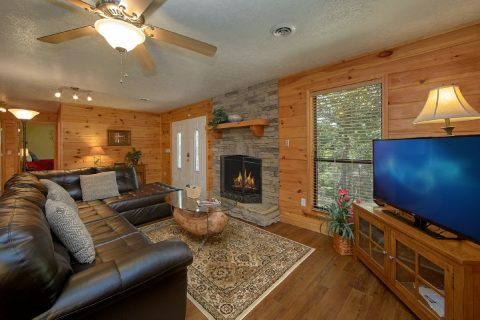 From the thrilling roller coasters of Dollywood to the mom and pop stores of Wears Valley, this cabin keeps vacationers near all the exciting adventures of the Pigeon Forge-Gatlinburg area. 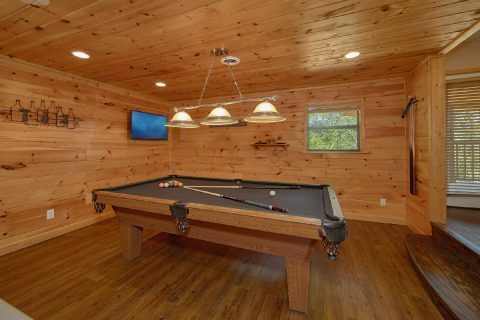 While there's no shortage of things to do around your cabin, you'll find plenty to do in your Wears Valley cabin with a game room as well. 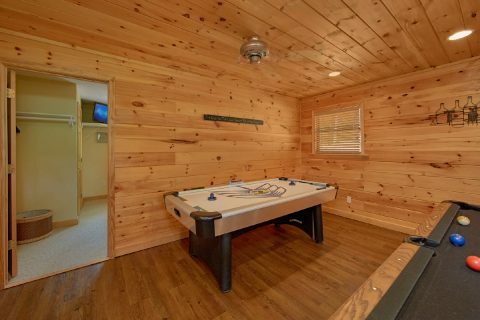 Enjoy hours of family fun with a pool table, air hockey, and dart board in the game room. 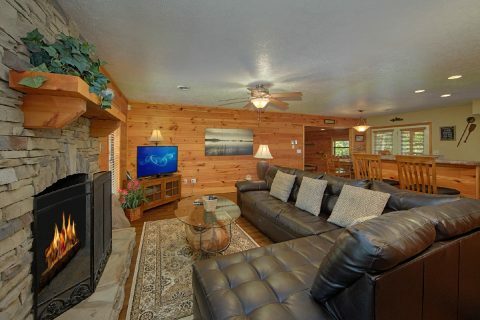 Watch some of your favorite shows while on vacation with your cable package or streaming with your wireless internet. 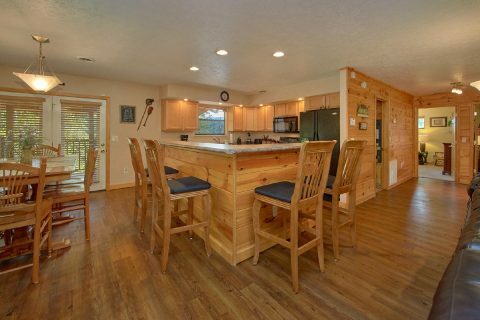 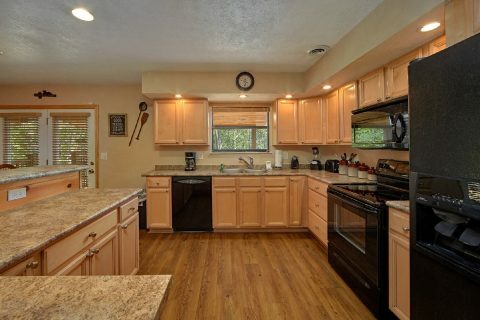 The kitchen invites you to cook delicious meals in your cabin to enjoy together around the dining table. 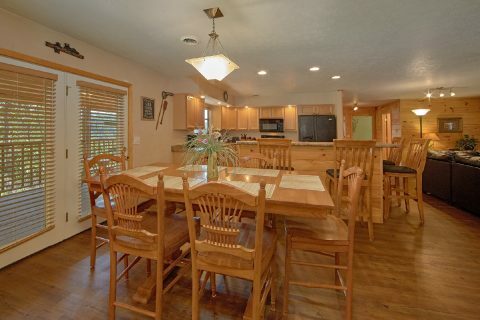 The gas fireplace also offers a great place for the family to gather in the winter. 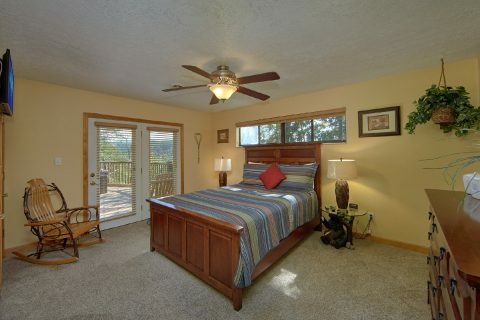 There's plenty of space for you to enjoy the splendor of the surrounding mountain scenery. 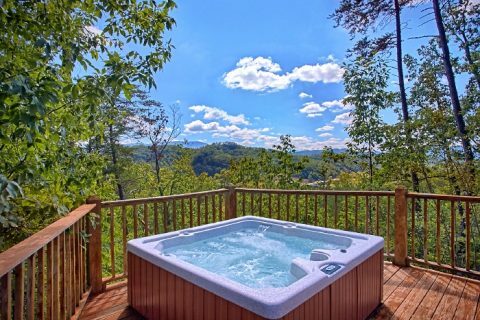 This Wears Valley cabin invites you to take in views of the magnificent surrounding landscape from while reclining in a lounge chair or while soaking your hot tub. 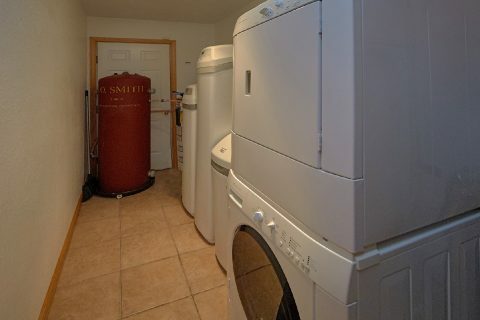 Guests should be advised that this is a non-smoking cabin. 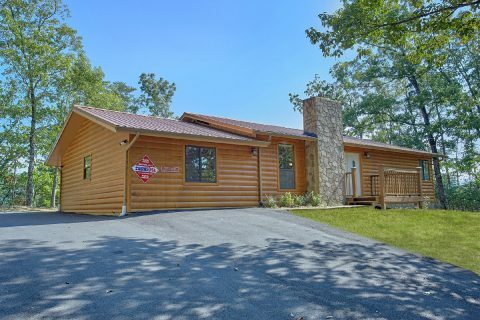 Book your 3 bedroom Wears Valley cabin today with Cabins USA and start planning your unforgettable cabin vacation with your friends and family today! 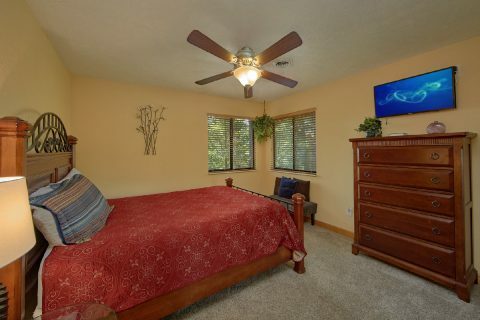 Remember, when you book online you receive an immediate 15% discount!